Gasboard 5020 emission gas analyzer can be used for measurement of the concentration of automobile emission gas CO, CO2, HC, O2 and NO (optional). It is based on the pulsable infrared source and single source two beams non-dispersion infrared (NDIR) method. It's general application is automobile emission check station or car repair garage. 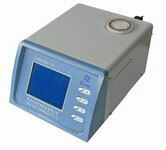 RS-232C interface and optional software. in either continuous or free acceleration. Free accelerative and transient state measurement of opacity for dieselengine. Display of Smoke opacity degree and Light absorption coefficient. Partial flow technology to keep optic system from pollution, constant temperature control for detection cell. 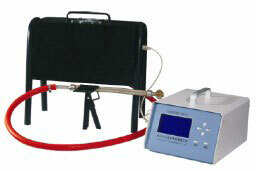 Apparatus performance meets requirements of ISO11614 and GB3847-2005. The DELTA 1600 S is the smallest and lightest measuring instrument for exhaust gases of motor vehicles with gasoline engines. 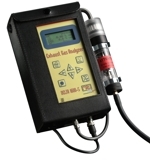 An ideal handheld measuring unit for quick and easy exhaust monitoring for all cars, buses, trucks, motorcycles etc.. The DELTA 1600 S has been developed and designed for measuring “on the road”, without the need of mains power supply.